The walls! Whether it is a dark, saturated paint color or a fun wallcovering, this is the best way to make a big impact in a small space! Lighting makes a huge impact in such a small space. There is a fine balance between there being too much and too little. Having sconces as well as a chandelier allow for plenty of direct light on your face while looking in the mirror as well as illumination for the overall room. This also makes the room feel more substantial and open. Choose some standout fixtures to increase the impact factor! So this may not be the simplest answer, but it depends on what state the bathroom is in. If you have decent cabinetry and stone already, try a new paint color or wallcovering. If the countertop is an eyesore, invest in some beautiful stone. (Some powder bathrooms might be small enough to score a deal on a stone remnant!) Another easy update is new lighting! Get creative and evaluate your priorities. Picking a dramatic new paint color or wallcovering is always the quickest and easiest change that can make such a huge difference in a powder room, assuming no major updates or remodels need to occur. Second to this would be updating the fixtures and/or lighting. 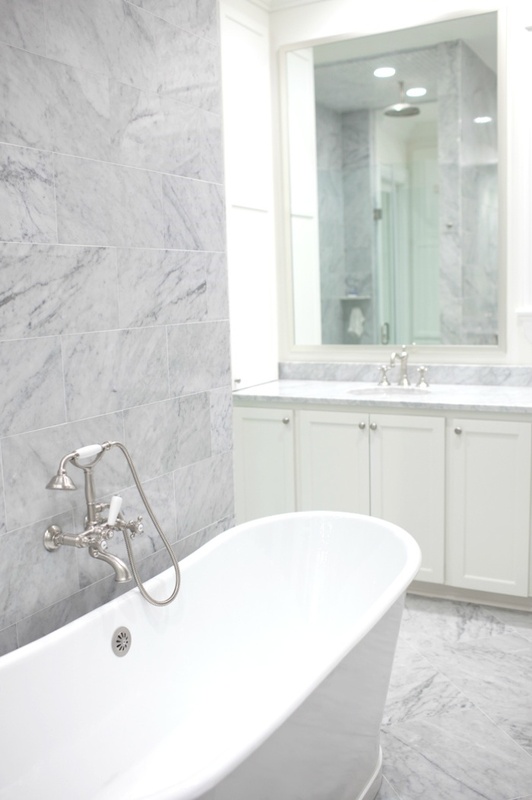 If you need help making your bathrooms and powder rooms beautiful, we’re here for you! That’s what our designers do! 😉 Give us a call! 601-853-4445. We hope you’re having a great day! Thanks for checking in! Let’s just be honest… powder rooms are often neglected. Why is that? We think they should be beautiful, because we spend so much time there. So today, we are bringing them to the forefront! Here are six powder rooms we are proud to call our own – designed by SummerHouse designers! Thinking your powder room needs a refresh? Our designers would love to help you! Just call or email us and you will be connected with a designer. If you’ve flipped through the latest issue of Social South, you probably saw the beautiful Township home that designer Todd Prince did! We wanted to share a little more from that gorgeous project with you! We love the tonal simplicity seen here… It could not be prettier! What do you think? Gorgeous, right?! In need of some inspiration this chilly morning? 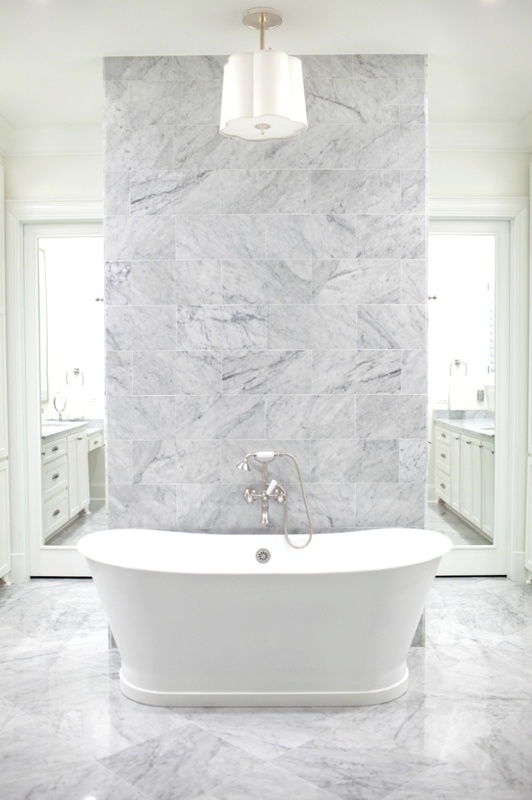 Allow us to share a few of our favorite bathrooms designed by our very own SummerHouse designers! Since everyone has to spend time in the bathroom, why not make it just as beautiful as the rest of your home? We think these lovely loos are a great example of that! Do you have a favorite out of these? We hope your week is off to a great start! We have some bright, white eye candy for you today! Everybody loves a pretty bathroom, and these two are over-the-top gorgeous with their soft color palettes and beautiful design…. We love the pops of modern in this first bathroom! And the mix of old and new in this bathroom is done perfectly! Have a beautiful day and a wonderful rest of the week! Thanks for stopping by! The new issue of Social South is out! And it is gorgeous! In this issue, you can find a great story (by our very own Laurel) and some fab photos (by our lovely photographer Anna!) of a bedroom (and adjoining bath) that designer Chelsea Sirmons put together! The title of this story is, appropriately, Winter Whites! Check out the full story on pages 24 and 25 by clicking here! Here are a few larger images of this same room just for fun… We hope you love it! What do you think? We love how Chelsea used so many of the client’s existing pieces when creating this soft, updated look. We love mixing old and new! Speaking of our dear Chelsea… Since her husband was transferred to South Carolina in December, we find ourselves in need of another interior designer/sales associate! So we’re hiring! Great job, Elizabeth! We’re in love… Keep up the fab work!